Hi Bill, Yes â€“ thanks. I think Iâ€™ll have to do more of these. I couldnâ€™t really go beyond Pagerank in an 18 minute Pubcon session. Although the random surfer model expired (and wasnâ€™t even assigned to Google), it is still a precursor to understanding everything that has come after it. I think I would love to do more videos/presentations on both Reasonable surfer patent, Dangling Nodes and probably a lifetime of other videos in the future. To be able to demonstrate these concept without giving people headaches, though, the PageRank algorithm in Matrix form provides a good understanding of why you canâ€™t "just get links" and expect everything to be at number 1. The SEO industry changes at an extreme pace, every year marketers evolve their strategies and shift their focus. However, backlinks remain just as crucial of a strategy as when they were first created. Currently, backlinks are a very common phase in the world of SEO, and if you are involved in the industry, you know backlinks are vital to a websiteâ€™s performance. 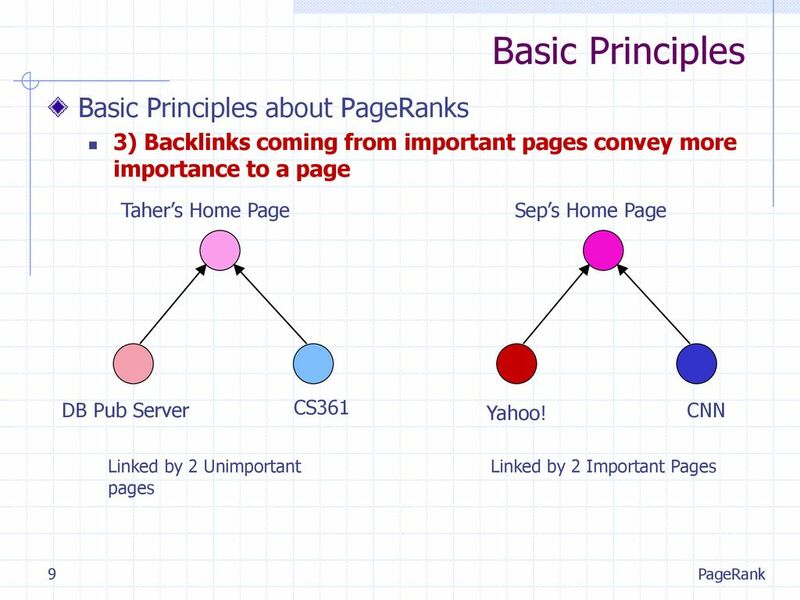 PageRank sculpting came out of the idea that virtually any page will have links that are important for users but not necessarily that meaningful to receive any PageRank that a page can flow. Navigational links are a primary example of this. Go to a place like the LA Times, and youâ€™ve got tons of navigational links on every page. Nofollow those, and you (supposedly in the past) ensure that the remaining links (say your major stories) get more of a boost. Well â€“ maybe for a few of you. But this algorithm is fundamental in understanding links and in particular, understanding why most links countÂ for nothing or almost nothing. When you get to grips with Googleâ€™s algorithm, you will be light years ahead of other SEOsâ€¦ but I never really see it properly explained. I guarantee that even if you know this algorithm inside out, youâ€™ll see some unexpected results from this math by the end of this post and you will also never use the phrase â€œDomain Authorityâ€� in front of a customer again (at least in relation to links). We canâ€™t know the exact details of the scale because, as weâ€™ll see later, the maximum PR of all pages on the web changes every month when Google does its re-indexing! If we presume the scale is logarithmic (although there is only anecdotal evidence for this at the time of writing) then Google could simply give the highest actual PR page a toolbar PR of 10 and scale the rest appropriately.